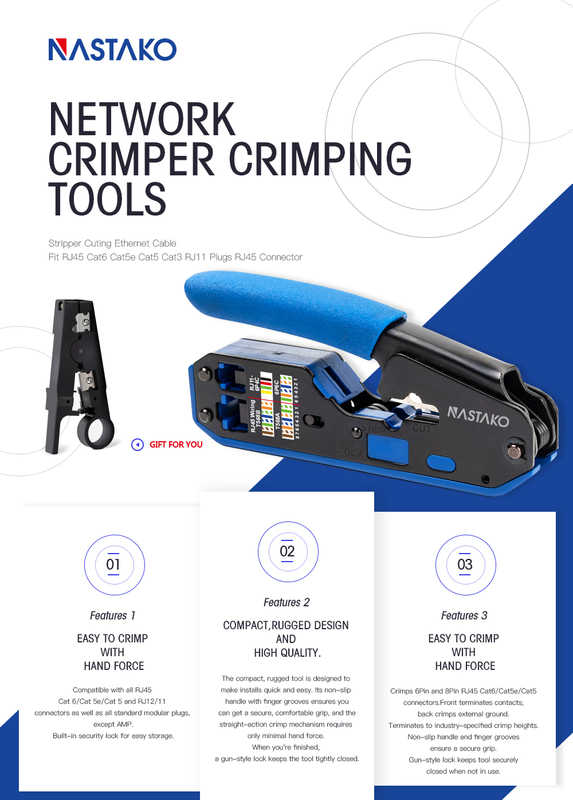 Easy to crimp with hand force. 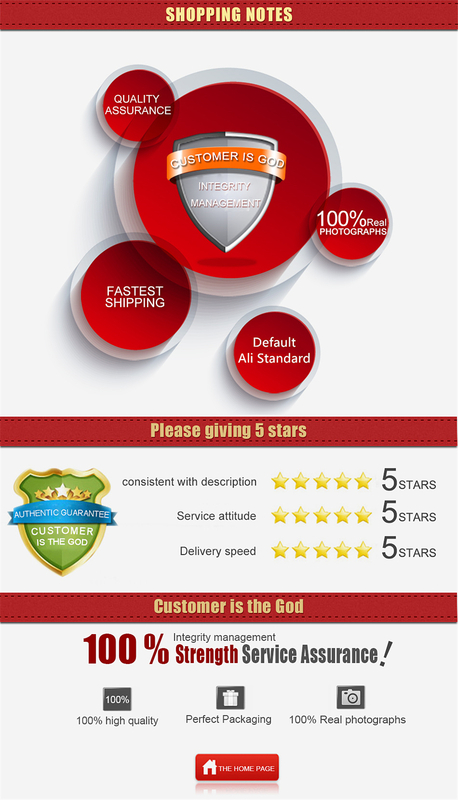 Compatible with all RJ45 Cat 6/Cat 5e/Cat 5 and RJ12/11 connectors as well as all standard modular plugs, except AMP. 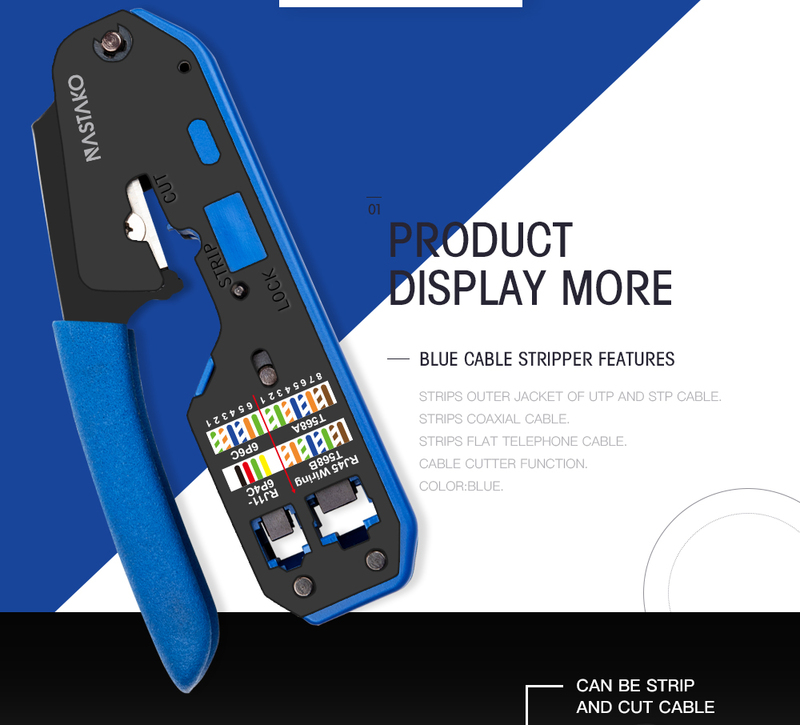 The compact, rugged tool is designed to make installs quick and easy. 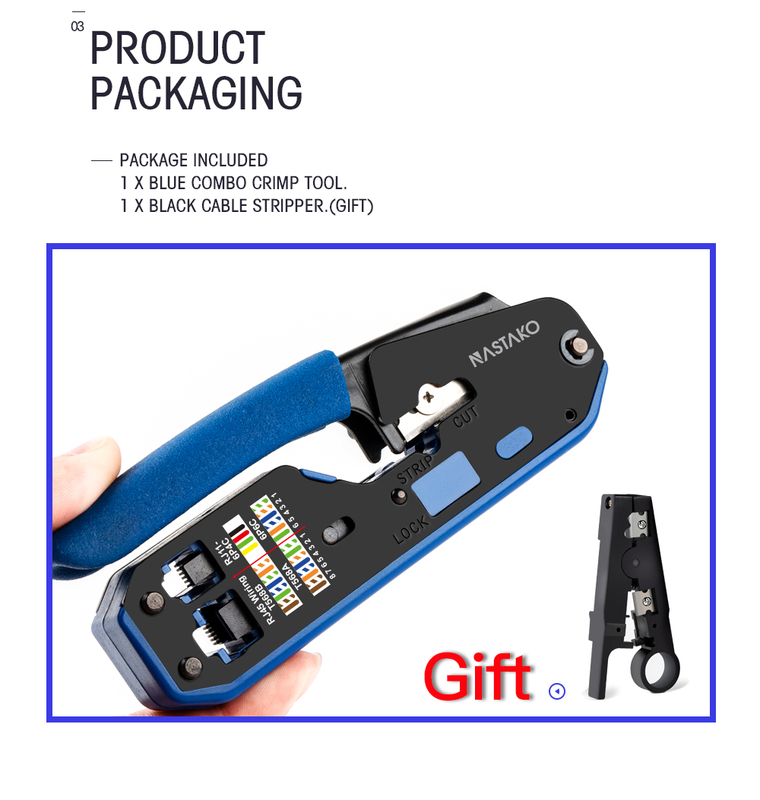 Its non-slip handle with finger grooves ensures you can get a secure, comfortable grip, and the straight-action crimp mechanism requires only minimal hand force. 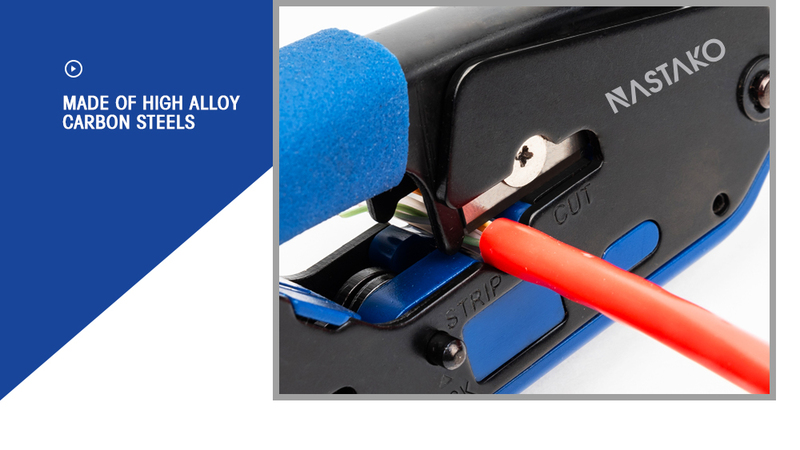 When you\'re finished, a gun-style lock keeps the tool tightly closed. 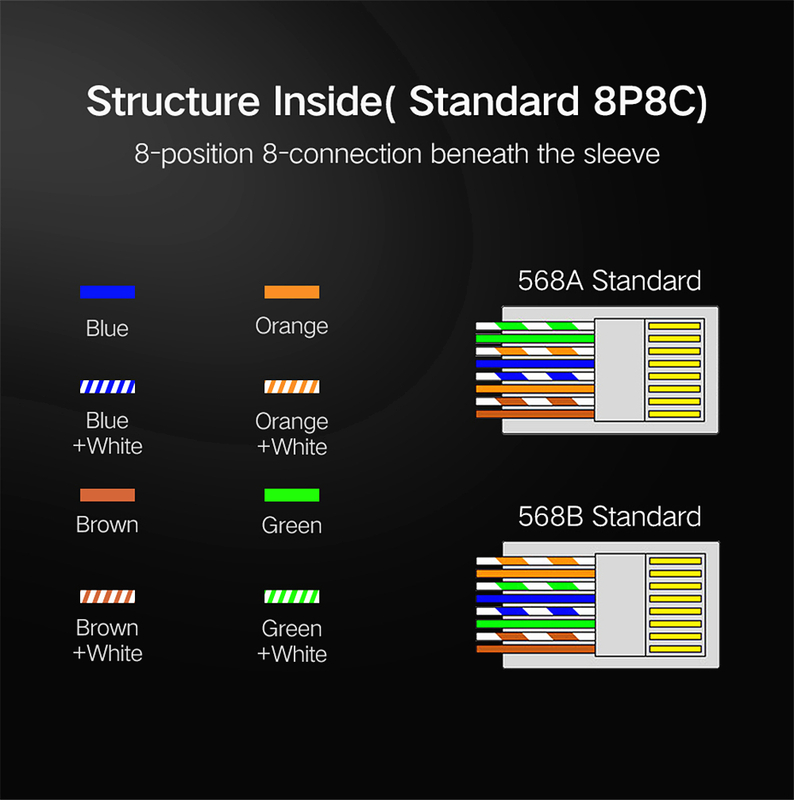 Crimps 6Pin and 8Pin RJ45 Cat6/Cat5e/Cat5 connectors.Front terminates contacts; back crimps external ground. 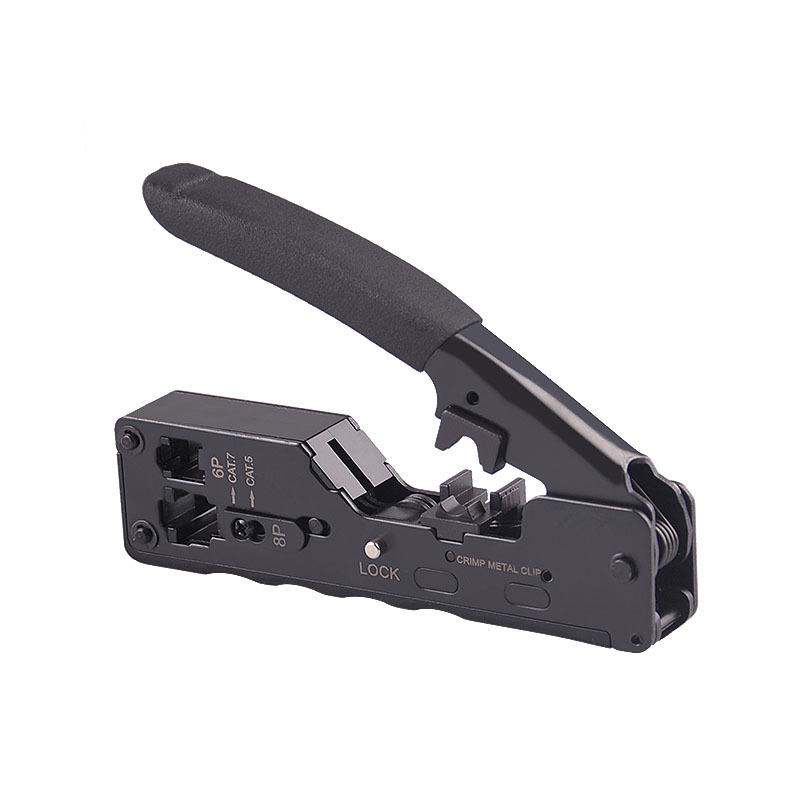 Terminates to industry-specified crimp heights. 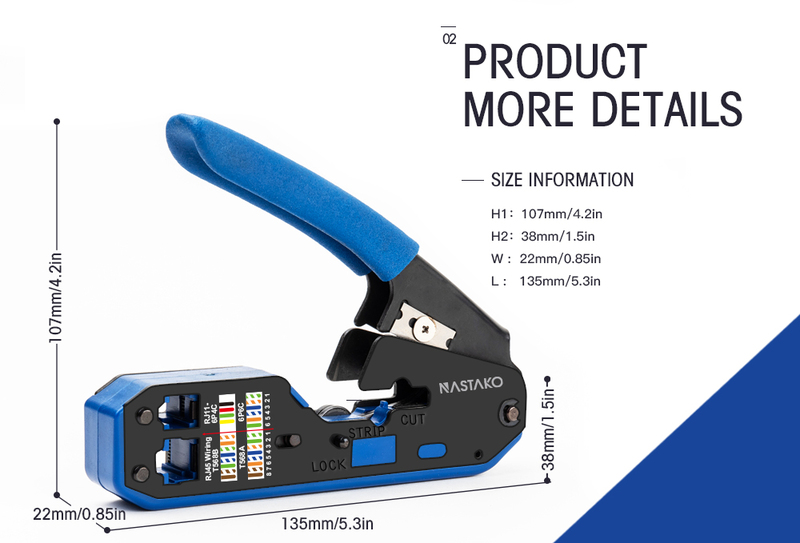 Non-slip handle and finger grooves ensure a secure grip. 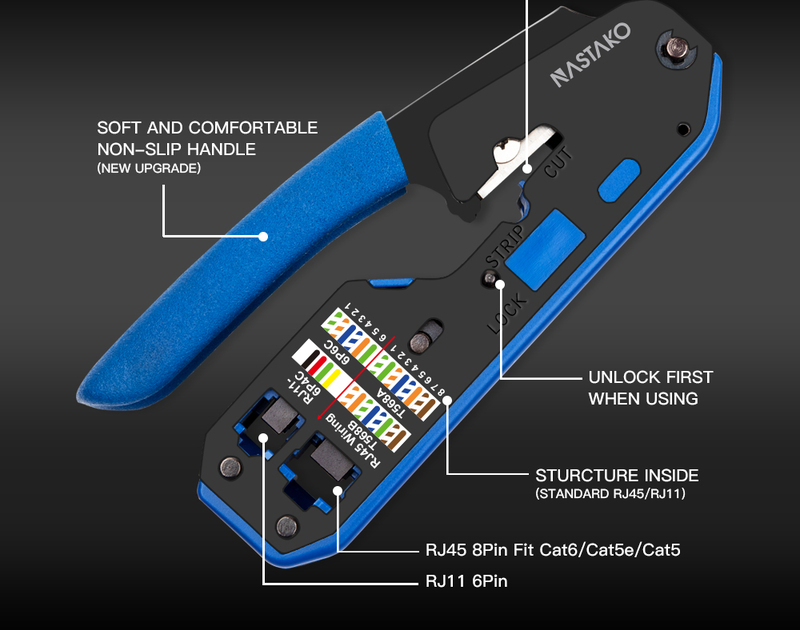 Gun-style lock keeps tool securely closed when not in use. 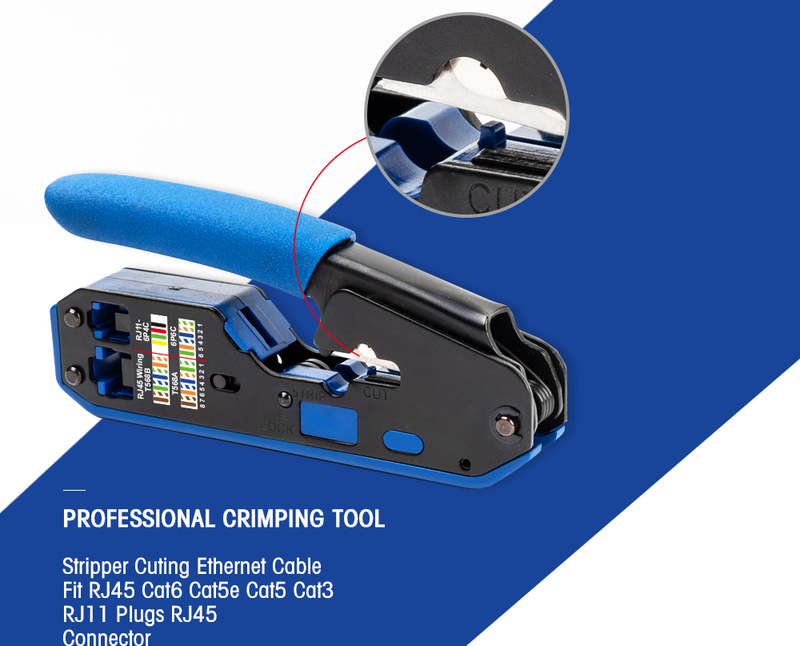 1 x Blue and Black Combo Crimp Tool.